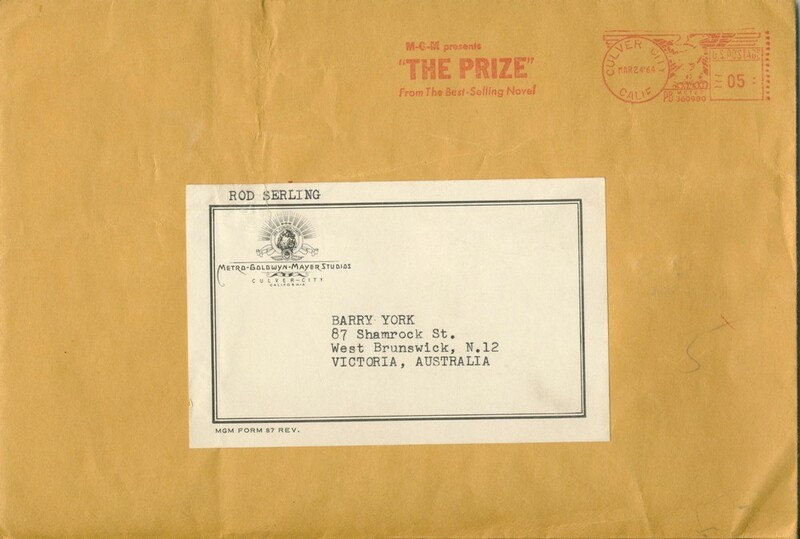 Barry York grew up as a latch-key kid in the industrial suburb of Brunswick, Melbourne. A dedicated television viewer, in 1964, aged 13, he wrote a fan letter to Rod Serling, creator of The Twilight Zone television series. Serling replied with a beautiful black-and-white autographed photo. Thrilled beyond words, and thoroughly inspired, Barry took up his letter writing as a hobby and today has well over a hundred autographed photos sent to him by 'stars' ranging from Bobby Limb and Dawn Lake through to Jim Backus, Ray Walston, John Cleese, Leslie Nielsen and both Ronnies (Barker and Corbett, separately). His presentation will show a sample of his autographed photos, each with a story. Oh yes, and he kept the envelopes too - of course!